This week has been one of my more challenging weeks and I definitely feel like I’m stretching myself too thin. Emotionally and physically; my body is exhausted but I don’t really have a choice but to keep trudging on. Something’s gotta give and I think it’s gonna give pretty soon. There have been a lot of things happening lately that I can’t quite delve into just yet, but I’m opening a door I thought I was going to keep pretty closed for a long time. Lots of life changes down the pipeline, and I’m trying to dot my i’s and cross my t’s before they start coming down. The last thing I need is some sort of emotional crisis on top of the stuff I can barely keep up with now. But all that drama aside, I always know that a nostalgic Vietnamese recipe can make me feel better. 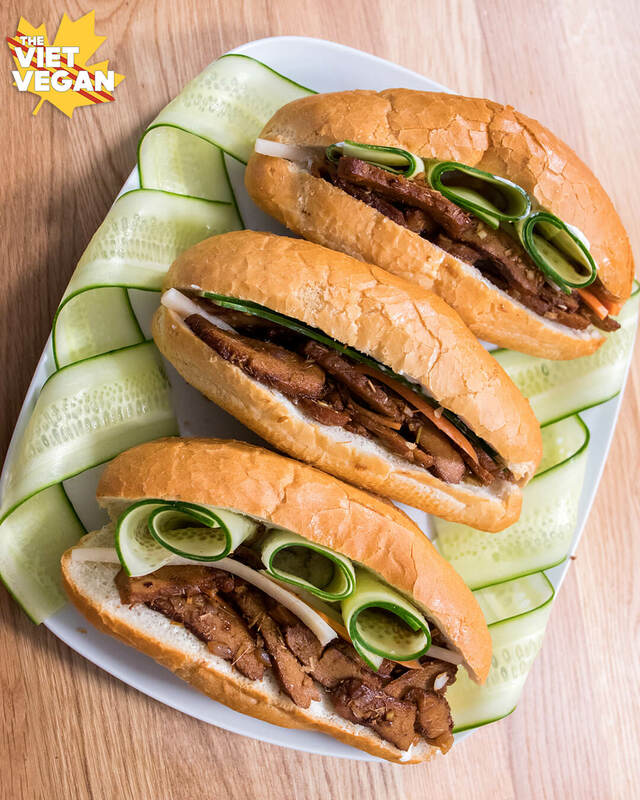 Savour a bite through the crisp, airy Vietnamese baguettes and getting a rich, unctuous bite of this lemongrass beef seitan. Layered with a fresh bite of thinly sliced cucumber and that satisfying pickled crunch of the daikon and carrot? Mmmmm this is the sandwich of my dreams. The seitan takes a bit of work, but now that I’m getting the hang of seitan, I think I’m going to start saying goodbye to the packaged mock meats because not only are those super expensive, they almost always have flavours and spices that I don’t really love in ’em, especially when I like to control the sodium factor as well. It’s really easy to prep ahead of time and just freeze for later! First prepare the broth in a large pot over medium heat. Combine all ingredients for the broth and let simmer for 30 minutes to develop the flavour profile. Once fully infused, remove the larger chunks with a slotted spoon. in a large bowl combine the dry ingredients: gluten, white pepper, onion powder, and garlic powder. Stir to combine. In another bowl, combine the wet ingredients: water, tamari, marmite, mushroom broth powder/granules (to dissolve into the water), Worcestershire sauce and oil. Add wet ingredients to dry ingredients and stir to combine to create a lumpy dough. Once dough is firm, roll into a rough log and cut into 1 inch thick slabs. Arrange on a lined baking sheet and bake for 25 minutes until golden. Once baked, remove and place directly into the simmering broth and cook on a slow simmer (not too aggressive but not still, hot water either) for 25-30 minutes. Once the time has elapsed, remove the seitan slabs from the broth into a container or plastic zip-top bag and add about 1/4-1/2 cup of broth on top to keep the seitan moist. Let chill in the fridge overnight (or for at least 8 hours) for the gluten to continue to develop texture and for the seitan to soak up the flavour. Once the seitan has set, remove from fridge and slice into thin strips. In a large frying pan, saute shallots in oil until translucent. Add minced garlic and saute until fragrant. Add lemongrass and continue to saute until fragrant (about 1-2 minutes). Add sliced seitan and stir to coat in the aromatics. If you want to add chile flakes, add them here. Add soy sauce and season to taste. 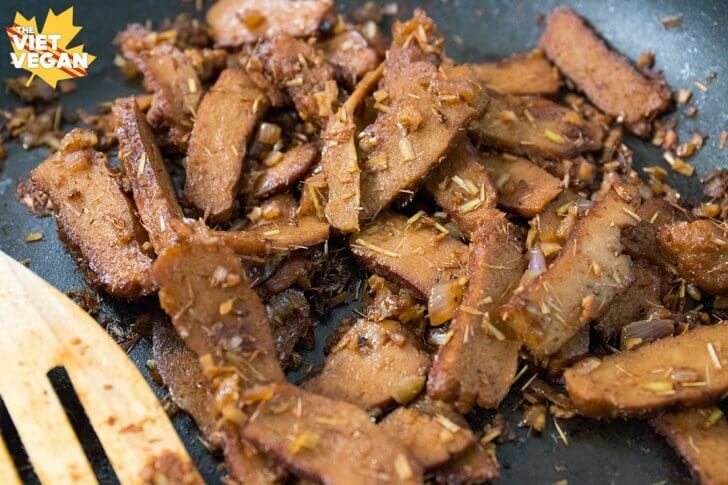 Cook the seitan until it browns. You may need to add a few tbsp of water to help deglaze the pan and keep the seitan from drying out. Season with black pepper to taste and set aside. Cut an opening in your baguette, then place in oven or toaster oven for about 2-3 min at 350F until just toasted. Remove and fill baguettes with vegan butter, mayo, cucumber, pickled vegetables, and a generous amount of lemongrass beef seitan! Looks fantastic. I'm going top try this on the weekend when I have some time. Cheers ! Hi Mariana! 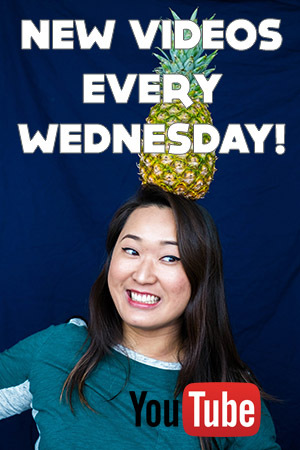 If you find its spongey, it might be because you didn't knead it enough. Also when you let it rest overnight in the fridge, it does firm up quite a bit too. And make sure you're cooking it for at least 25 minutes on a simmer. This is Banh Mi recipe is the bomb! We have made it twice in a week it is so good! Thank you so much for the recipe. It has opened up a whole new world of making seitan for me! I also made the pickled carrots and have them in my fridge as a staple now. So delicious and much more affordable than what is at the grocery store. Thank you! Thank you! Just found your blog Lisa and looks amazing! was wondering where you buy mushroom powder and any particular brand you recommend? WOW Lisa, this is the best seitan recipe I have tried. Amazing flavor and texture. I will definitely recommend this to friends. 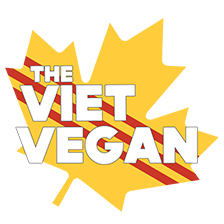 And might even try making the banh mi soon!